Pound for pound, 2015 has been a great year for rap music. A slew of artists including Big Sean, Kendrick Lamar, Joey Bada$$, Meek Mill, Lupe Fiasco, A$AP Rocky all released arguably the best work of their careers. With the exception of Lu and Joey, all released #1 debuts. Straight Outta Compton dominated the summer box office, but also brought new generations to the journey of the world’s most dangerous rap group, N.W.A. Hell, 2015 even brought a new Dr. Dre album. DJ Rashad Hayes also discusses trends fans should look out for during the remainder of 2015, his upcoming project with D-Nice and why people should be excited about Tinashe. HipHopDX: So what’s life like for DJ Rashad Hayes? DJ Rashad Hayes: I am currently compiling beats for my next project, which is an original mix album I’m doing. I’ve been working on that for about a year and now I’m in final stages of it. I’m a perfectionist so I don’t present anything until it’s perfect. It’s gonna be a game-changer and I’m excited about it. I’m also currently in the beginning stages of a mix project with D-Nice. That project is gonna be crazy and we’re formulating it now. I’ve also been learning the keys and guitar to add to my repertoire. I’ve also teamed with my management to start curating playlists for Beats Music. I’ve also kept a steady schedule of deejaying the hottest clubs in Soho, Tribeca, & Times Square in NYC. DX: Activity is the new awesome. Describe a DJ Rashad Hayes set? DJ Rashad Hayes: I credit my success to God first and foremost. Then I would credit my success to my ability to channel my past experiences into my club sets. I’m from Brooklyn but moved at 11 [years old] to Maryland and Philadelphia. Then moved again to Seattle and California at age 16. Then I got my start deejaying during the explosion of the southern Hip Hop movement in college in Alabama and Atlanta. I experienced and soaked up each region’s interpretation of Hip Hop, so I combine these experiences in my shows. I came back to NYC after college and been spinning downtown NYC ever since. You can catch me spinning an art gallery opening with indie rock and soul in Tribeca then catch me later that night spinning all Hip Hop for an event in Soho for Jay Z or Drake. I’ve spun album release parties for both U2 and Rick Ross. My versatility is key. There’s honestly not a style that I can’t play… which is so Hip Hop. Hip Hop is a collection of so many musical styles and influences and I try to showcase that in all my sets when I perform. You’re gonna hear rock, funk, soul, house and everything in between to keep the party energy on 100. DX: What excites you about Hip Hop? DJ Rashad Hayes: I’m excited about Tinashe because she has unlimited potential and she understands the level of commitment it takes to achieve greatness. You can tell by her songwriting that she takes her craft seriously, which I love. I liked what Rae Sremmurd brought this year and they were very consistent with the hits. I’m also excited about a dude new to the scene named Dave East out of Harlem who’s signed to Nas. Everything I’ve heard shows he’s serious. So I’m interested in hearing his future stuff. I think everyone is interested in hearing Fetty Wap’s debut album. He’s killing in the clubs right now with every song. Then of course there’s Kendrick [Lamar] and TDE, Drake, Big Sean, A$AP Rocky and J. Cole. I’m excited to see these young brothers have their business in order and represent their hometowns and crews very proud. I’m very excited for Hip Hop and music in general right now because the real will always reign supreme at the end of the day. True expression is the only lasting power. DX: You see a lot. From your perspective, what’s the most relevant trend? DJ Rashad Hayes: The relevant trend happening today is [artists releasing] coherent albums. People are not accepting generic half-baked albums or product anymore. You can have a big single and sell nothing because people want the whole package now. The explosion of streaming services has now made the importance of strong albums very critical to an artist’s success, which I absolutely love. If a person has a hot song than people wonder immediately “Ok, what else do they have?” Strong albums or projects like Drake’s So Far Gone, Wiz Khalifa’s Kush & Orange Juice, & The Weeknd’s House of Balloons definitely paved the way for strong initial projects to be paramount to a new artist’s success. People aren’t believing the hype anymore. You have to prove it. DX: Is this trend sustainable in your view? DJ Rashad Hayes: The trends that have staying power are the elements of Hip Hop that have always been tried and true. You have to have a concept of who you are, the lyrics to back up the concept, the attitude to pull it off and the music along with the performance that must match everything. That’s a trend that’s happening more and more. The fundamentals always stood firm. Artists are now on their third and fourth projects along with the myriad of mixtapes they may release in the interim. It’s funny but if you look at things then you’ll see that the artists that are making the most noise are displaying beautiful work ethics. No matter what coast they’re representing or what part of the map that they’re from. The elements are all the same. These brothers are starting companies, signing artists, and starting movements from their respective areas. Hip Hop is in a beautiful place right now. DX: Which trends do you expect to fall out of style? DJ Rashad Hayes: The trends that will fall out of style are those that have always fallen by the wayside. Cultural appropriation is always gonna be #1. Commercial, generic music will always fall by the wayside. Fake rappers masquerading will always be here today and gone forever tomorrow. I don’t even worry about wack trends. The wackiness will always kill itself. True expression can never be killed. A trend that I wish would die would have to be the nominations on mainstream awards shows. I wish the nominations would more accurately reflect the true status of what’s going on and not trying to subjugate and deteriorate the culture to preserve the commercialization of the culture. DX: Any predictions for the remainder of 2015? DJ Rashad Hayes: I think the rest of 2015 will continue on with the emphasis on strong projects, strong performances and streaming, as well as the overall emphasis on the culture. I love the nostalgic vibe that is prevalent in Hip Hop now and the huge success of Straight Outta Compton solidifies that. We are an amazing culture and I see Hip Hop always getting bigger and expanding into so many lucrative areas. I see the year riding out to current artists who have had a great 2015. Artists like Fetty Wap, Future, The Weeknd, Drake, Kendrick, Nicki Minaj, J. Cole, A$AP Rocky, Meek Mill and Big Sean all had #1 albums. This year Hip Hop really came back into the forefront of pop culture. DX: What should people look out for from DJ Rashad Hayes? 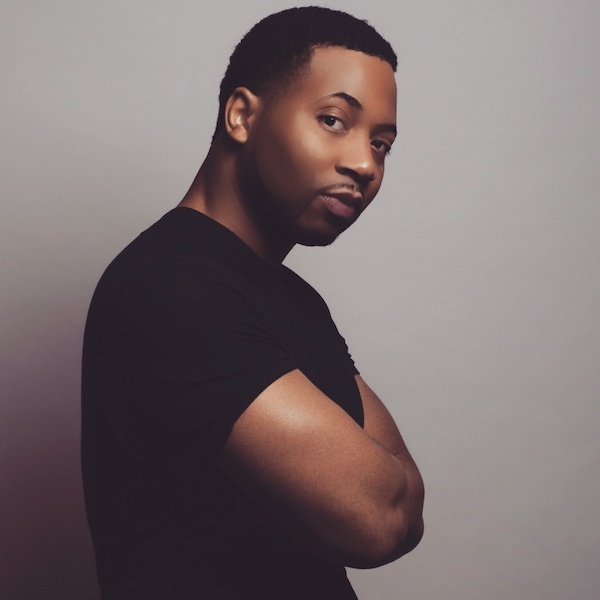 DJ Rashad Hayes: People should look forward to me spinning all over New York City for fashion events, movie premieres and the hottest clubs—as well as a steady stream of my production and mix projects that I create to help open minds to our diverse culture. I just came back from spinning in New Orleans with DJ Cassidy and couldn’t believe I was in front of 60,000 people. My mixes have spread all over the world and I’m very proud of that. I’m currently planning a nice club tour of Hawaii. My fan base has expanded to incredible places like Japan, Australia, Canada, Brazil, Costa Rica and the UK. I hope to visit and spin in them all very soon. Hip Hop and black American culture has changed the world and I’m so appreciative and blessed with everything I’m embarking on. Also check for my cousin Marcc Rose. He played Tupac in Straight Outta Compton and he’s developing a project with John Singleton. So my whole family is always striving for greatness.